Help Joe get back to what he loves doing the most - creating. 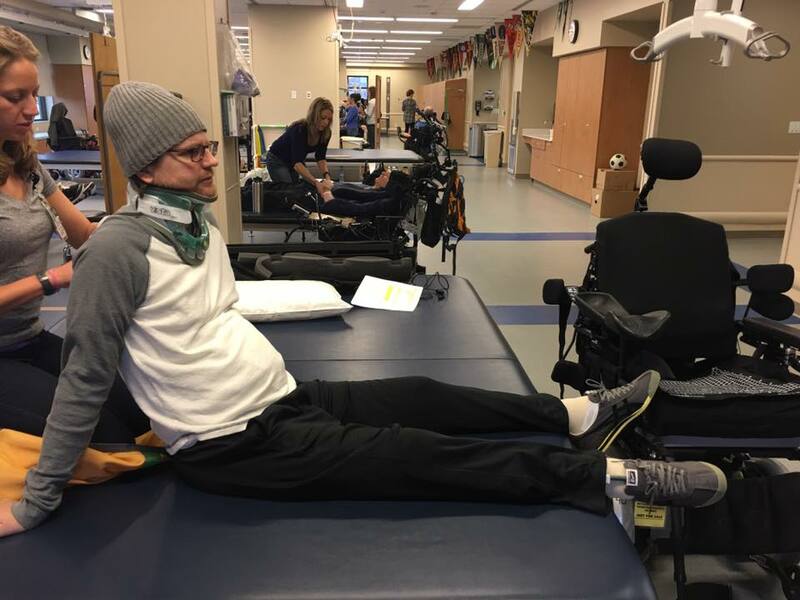 On December 17, our friend and colleague Joe Latimer was struck by a car while crossing a crosswalk, suffering spinal injuries that paralyzed him below the chest, and also paralyzed his hands. He is courageously fighting his way forward to get back to what he loves doing the most. See why we love him so much? Not only is Joe a creative wizard, he also has an amazing spirit of positivity in everything he does. Joe's work blows our minds. Stunning digital paintings of interstellar dreamscapes. Killer Predator costumes with shoulder-mounted laser cannons. Photoshop mash-ups of wild hot-rod-tractor-drag-racers so convincing that folks ask if they're pictures of real machines. 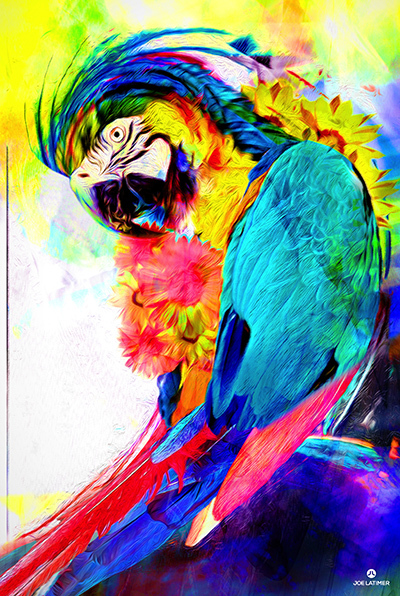 Freelance graphic design that always over-delivers and wows his clients. This is barely scratching the surface - Joe is an awesome-idea machine, and we're here to help him fight his way back to creating the art he loves. As his friends, we've set up this GoFundMe to raise money to cover his medical expenses, provide for his transportation, make changes to his house so it will fit his needs, and support the extensive physical therapy he'll be doing. Your support means we'll be able to do all of those things – and it shows Joe just how much we all care for him, giving him drive to fight even harder to get healthy. We're so glad he survived, and we want to do everything we can to set him up for victory and support him in this fight. We are grateful – beyond words – for your help. "Joe was out doing what he did every night: running our little Radar for 5 miles to release some of the dog’s unending energy. He takes the Seminole trail towards Oviedo and then circles back home. He was at the Tuskawilla Road crosswalk, heading west. "After pressing the crosswalk button, Joe waited for the light to turn red, and for the crosswalk to illuminate, and then proceeded to cross. He crossed the northbound lanes and was narrowly missed by a person who ran the red light. That shook him up a bit so he paused in the median, looked at the southbound lanes, and didn't see any cars so he continued on. The driver of a car heading south ran the red light and hit him going 'at least' 45mph. " Radar is okay - he was found by a good samaritan, checked out thoroughly by a vet, and is now recovering from minor superficial injuries in the care of friends. The impact fractured Joe's spine in 3 places, paralyzing him below the chest and in his hands, and broke his right lower leg and right collar bone. The cervical (neck) fracture was the worst; the C6 vertebrae wound up actually sitting next to C7. The hospital staff successfully attempted cervical traction, and afterward Joe had a successful surgery to stabilize this area of the spine. The break in Joe's leg was a compound fracture, and the surgeons have fixed the break and wounds - this area is healing now. The collar bone will heal on its own, though it does give Joe considerable pain and discomfort for now. Joe's spirit is unbroken, and his sense of humor is fully intact. He's keeping family, friends, and the hospital staff laughing and on their toes. Joe has begun a very extensive rehab program that includes many weeks of inpatient physical and occupational therapy. Once he goes home, Joe will need special equipment to help him remain independent. His house will need to be retrofitted to help with easier mobilization. And of course, there will be ongoing medical and rehabilitation costs. 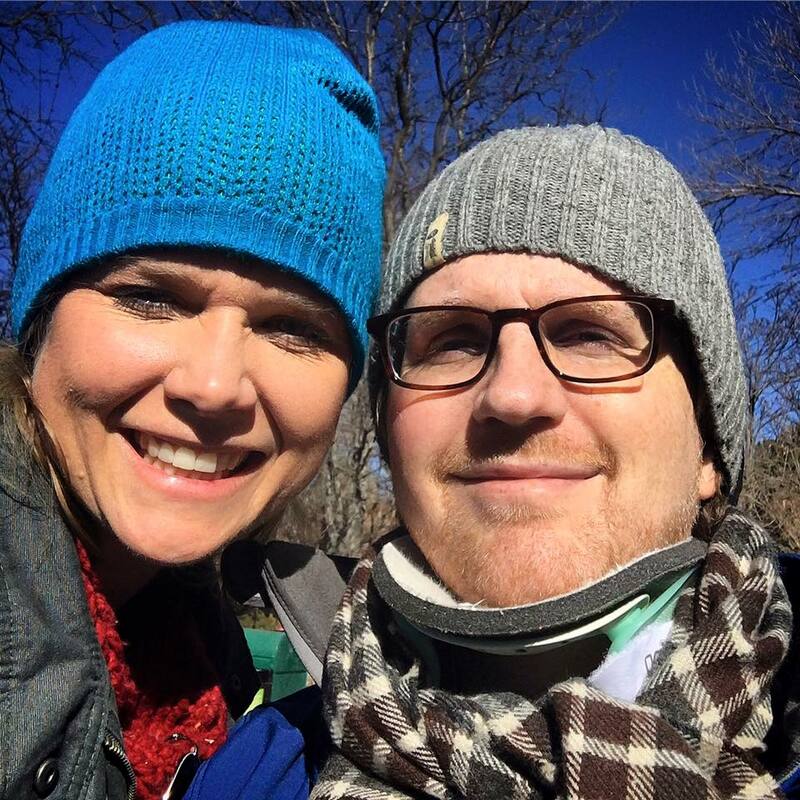 Tracy, Joe's girlfriend, says, "Joe is a fighter, and he has said he is ready for what's ahead – and he is going to need the support from all of us on this journey. It's going to be a tough road." 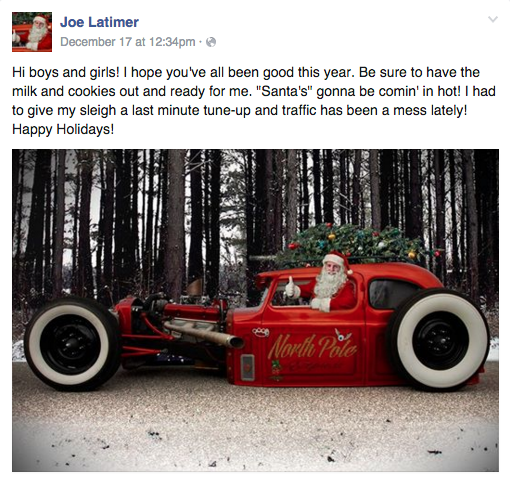 Joe Latimer is an artist, designer, and creator. He's a beloved boyfriend, son, brother, friend, coworker, and creative genious. He loves his girlfriend Tracy, his family, his friends, his dog Radar, his art, his toy robots, his lifted Ford trucks, and working on his house. "Here we are at the close of week 6, one week closer to going home. If Joe was still in Orlando, that's exactly where he would be already. Sadly they were teaching him how to go home and be safe. That's why this opportunity at Craig meant the world to him. They are teaching him how to get out and live life! "Joe made some great progress this week. All of his restrictions were lifted. He can now put weight through his right arm. So far so good, no pain. He was even able to propel a manual wheelchair. "The therapists continue to be amazed by his body awareness. He has great balance and strength in his biceps. Once he gets his neck brace off, he will be unstoppable." Another week down. It's now been 4 weeks since the injury. Joe has made good progress over the last week. Even though he's getting stronger every day, he's having to relearn how to live all over again. Simple tasks, like eating or drinking, take every bit of the strength he has gained. New opportunities have opened up for Joe in the last week. One of the top rehab clinics in the country evaluated him on Monday and offered him a spot in their program. Tomorrow, Thursday January 14th, he will be on a flight to Denver to start a 60 to 75 day rehab program. This rehab facility only treats patients with traumatic injuries like Joe's. It's a great opportunity for him to network with other people his age that have a similar condition and get the best therapy possible. They have a state of the art gym to get Joe in tip top shape before he comes home. There's even two rehab pools (heated of course) for Joe to enjoy during therapy. One big draw for him is the engineering department on campus. They create all kinds of adaptive equipment for patients to get back to doing what they love. The hope is that they will create a device that will allow Joe to return to doing what he love most, art! He is still hopeful that his hands will return to full function, but until then he needs a way to share with the world his creative genius. To Joe's friends and supporters - here's and update from Joe's girlfriend, Tracy. Merry Christmas! Fueled by your support, Joe has made amazing progress in the past few days – he’s is ready for visitors, and would love to see you! All I ask is that you please contact me ahead of time so that he's not overwhelmed at one time. His sense of humor is as awesome as ever, and he’s keeping me, his family, and the hospital staff laughing and on our toes. Joe’s condition is now stable; he has been released from the ICU and is in transition to inpatient rehabilitation here at ORMC. He continues to be paralyzed below his chest, and does not have use of his hands. He has limited use of his arms, and is working hard at his physical therapy. He’s talking constantly about his art and his ideas for future projects - his creativity and passion are alive and well! His spinal and other orthopaedic surgeries went well, and his superficial wounds are healing. Joe is still in a neck brace and will be for a while. Miraculously, he suffered no brain damage or internal injuries whatsoever! 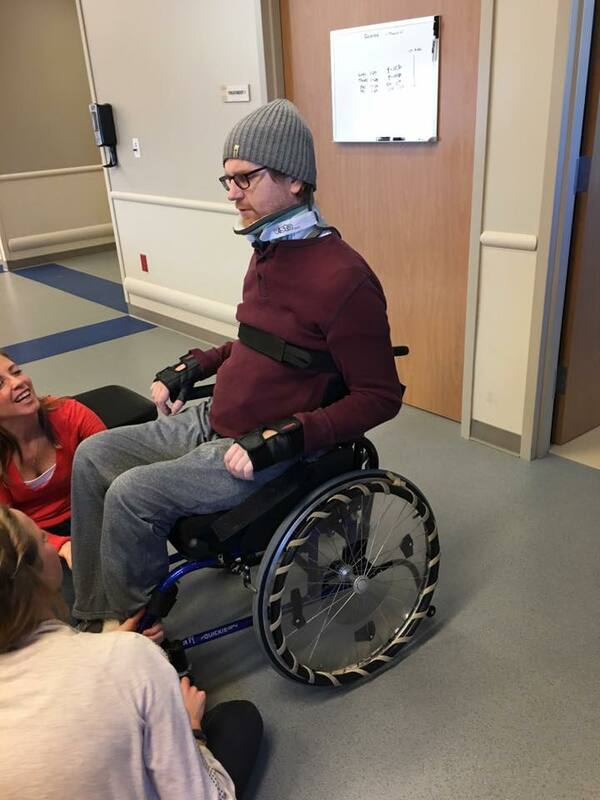 While Joe is focused on recovery, we’re making plans for a great powered wheelchair, making changes to the house, finding an accessible van or truck for Joe to make his own, and fitting out his studio so he can get back to work as soon as he’s ready. To make all this happen, we continue to need your help spreading the word about Joe and the support campaign. Thank you again for joining us in this fight - your support is working! Thanks everyone for your support so far! Joe and Tracy are now receiving your donations directly. The outpouring of support for Joe in his time of need is overwhelming. I can't even begin to tell you how grateful Joe and I are to have friends like all of you. Support like this makes the fight ahead seem doable. To all those anonymous donators that I can't thank directly, words can't begin to express how much your generosity means to Joe and I. Every penny of these proceeds will go to make sure Joe has everything he needs in life. Thank you again we truly have the best friends! You are all so amazing thank you thank you thank you! You all are amazing, this support is overwhelming but very much appreciated. My brother is a fighter and you all are helping him to keep going forward. Thank you so much. If anyone can turn a horrific accident into something positive, Joey will. He is the most compassionate, smart, and funny guy! Most of all, he is a fighter-he will be attacking this Chuck Norris style I know!! Leave it to Joe Latimer to be laid up in a hospital bed & still create such an inspirational short film. Brother, you never cease to amaze me! I love you so much! You are all so incredible. Thank you so much!!! I'm not the best with words but know that you guys are in my thoughts. I can't even imagine what either of you are going through but if there is anything I can do do not hesitate to ask. You all are so incredible!! Thank you so much. Thank you all so much for all the support! Joe is making great progress, but will need so much help when he does finally get to go home. The cost of modifying our house to make accessible is going to be expensive. They are estimating $25000-$30000. The future medical bills and equipment cost are already racking up. Every penny helps. Again, we can't thank you enough! Hi Joe, Hope things are getting back to normal after the little storm you had.